Range Rover L322 2002-2006 – BAS Remaps, Powering the Landrover tuning world! 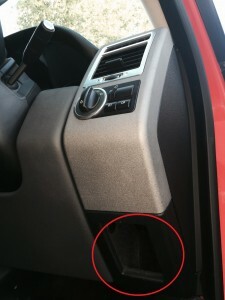 Open the drivers side door and look for the small pocket to the end of the dash panel. 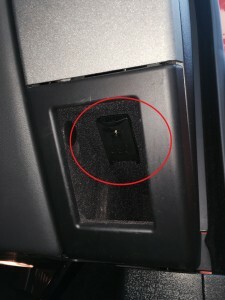 The OBD-II connector is located behind a small fold down flap on the upper wall of the pocket. 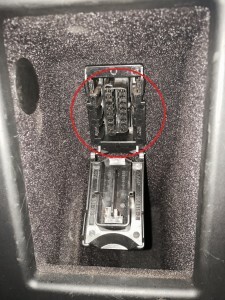 Fold down hinged the flap from the top to gain access to the OBD-II connector port.